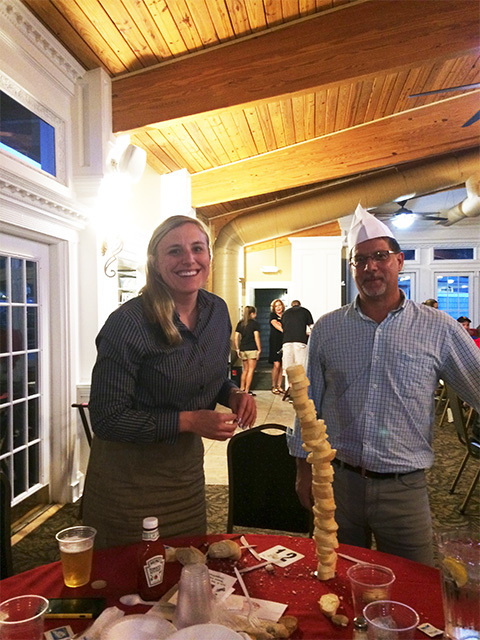 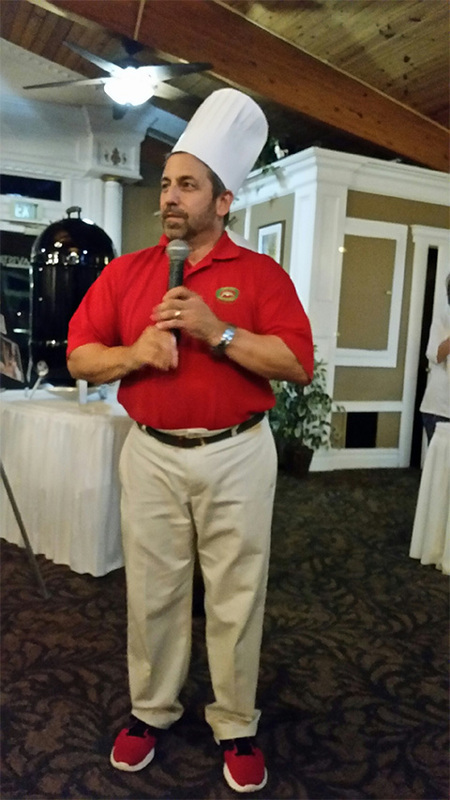 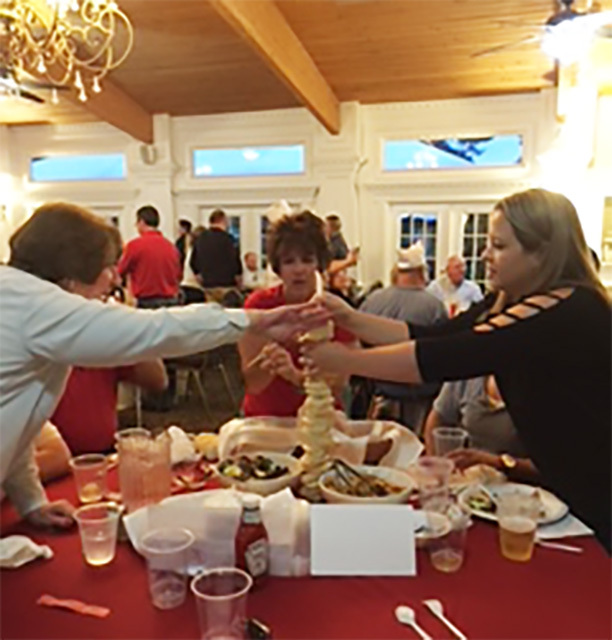 Southington UNICO hosted the first annual charity “Beefsteak and Brew” event Sept. 14, 2017 at Hawk’s Landing Country Club. 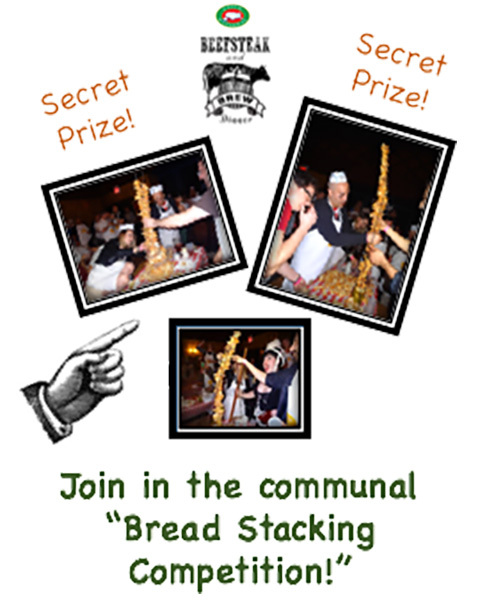 and competitive, but entertaining, bread stacking! 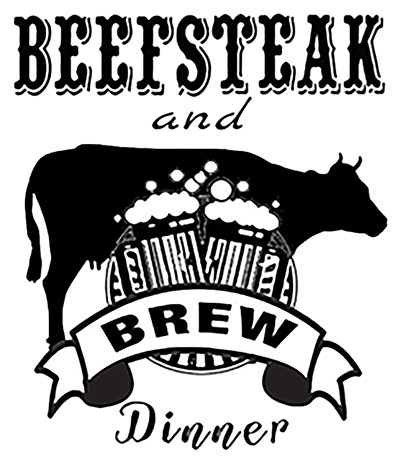 New York City first started Beefsteak Dinners in the late 1800s. 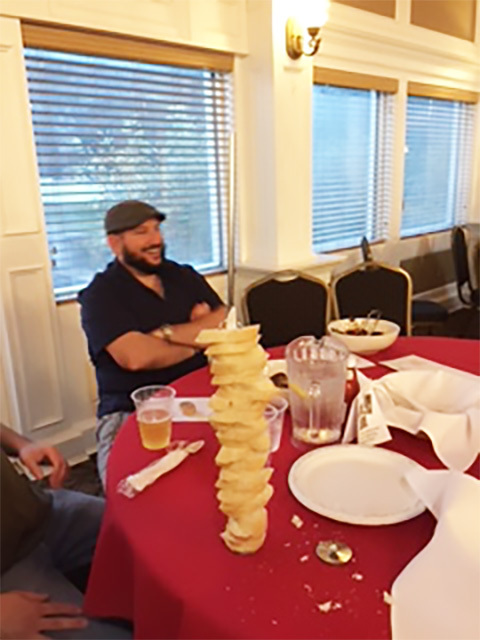 Initially held in taverns or dingy cellars where, sitting on crates or stools, guests would sing, tell stories, eat steaks, and drink ale with abandon. 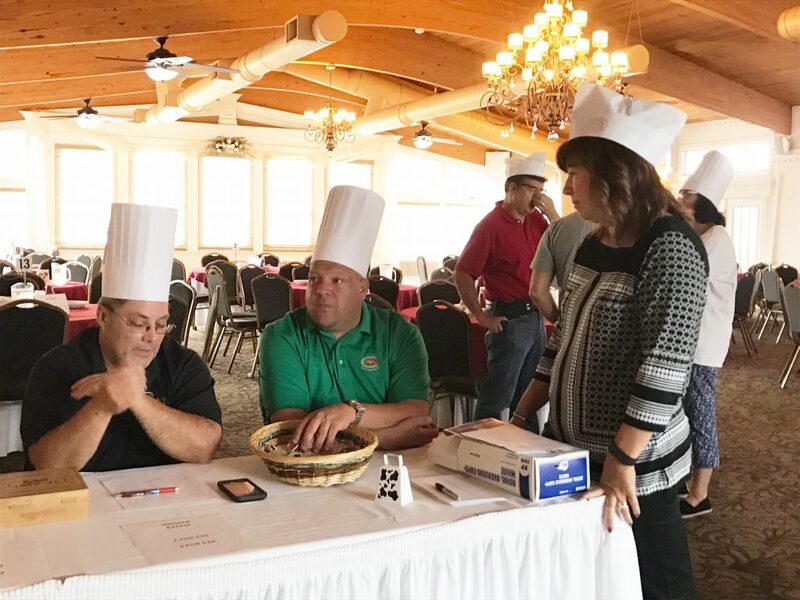 Participants, adorned with butcher hats, ate tender morsels of beefsteak served on pieces of bread, wiping the grease on large napkins or aprons. 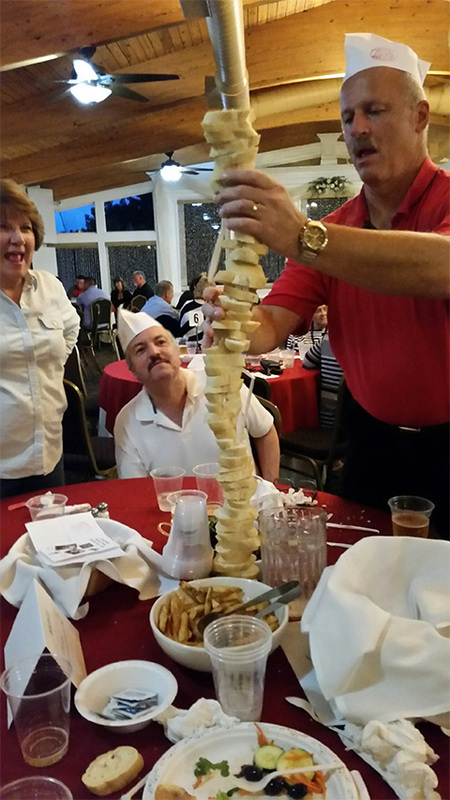 No knives or forks were allowed. 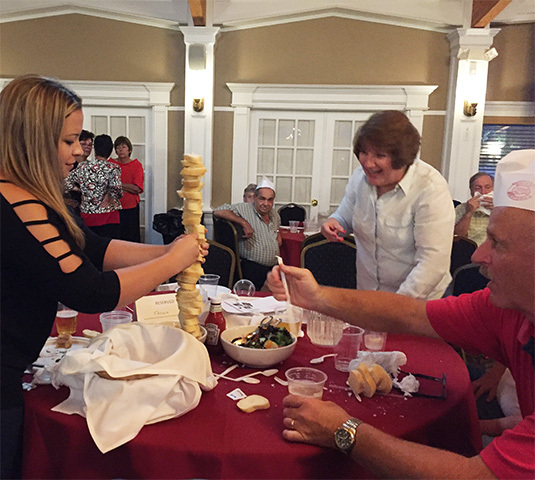 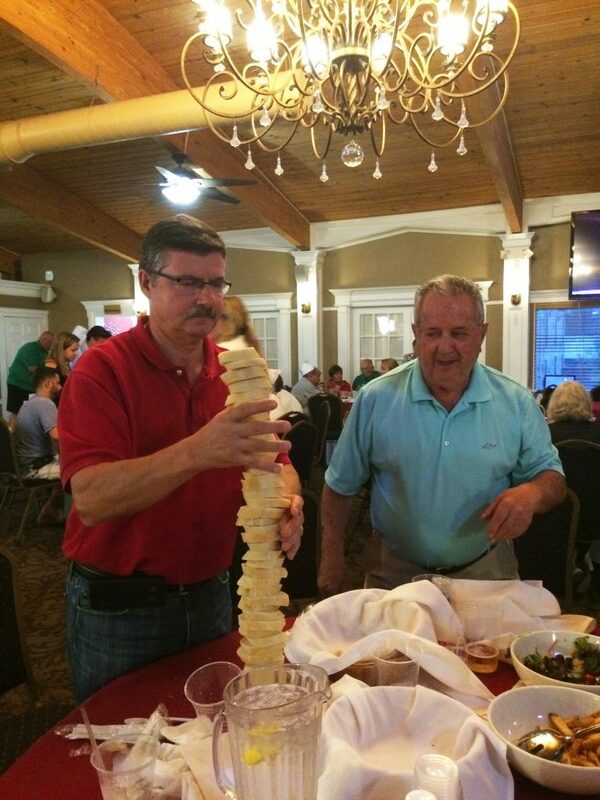 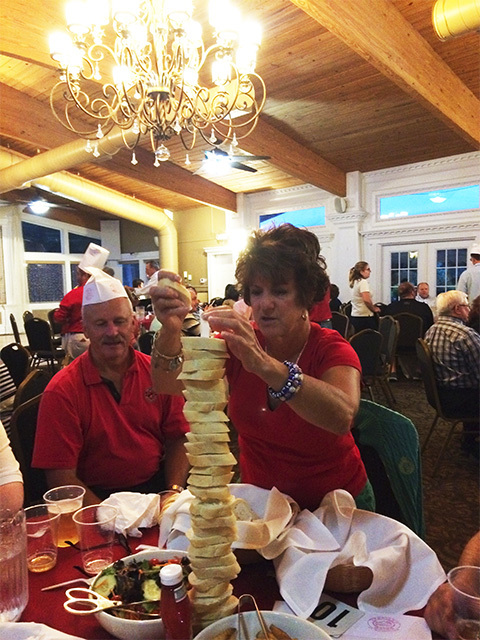 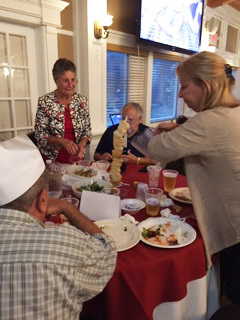 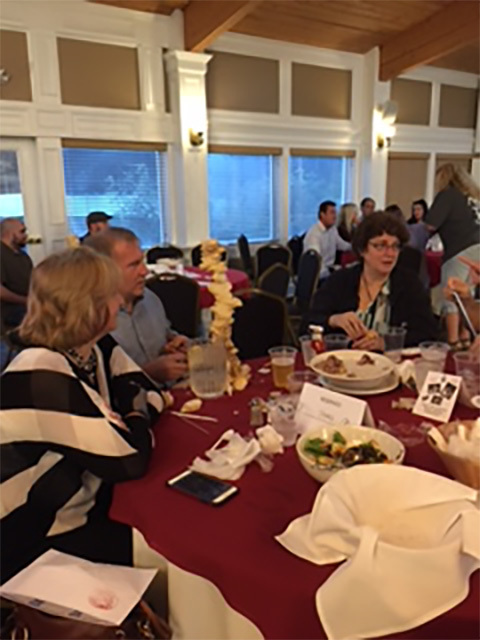 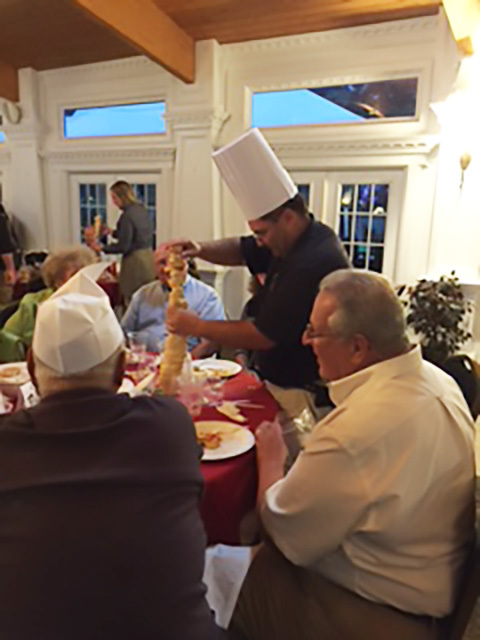 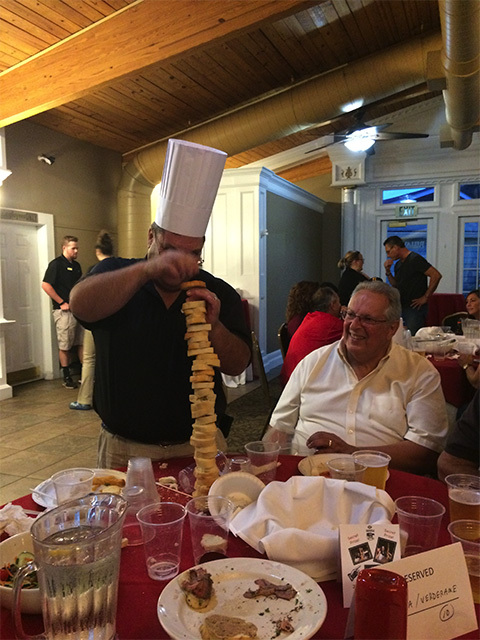 As the evening progressed, each dining group competed to build the tallest tower of greasy bread hunks.